FaithAction fund, train, advise, campaign, research and innovate. Working nationally to support faith based organisations at work in their local communities. 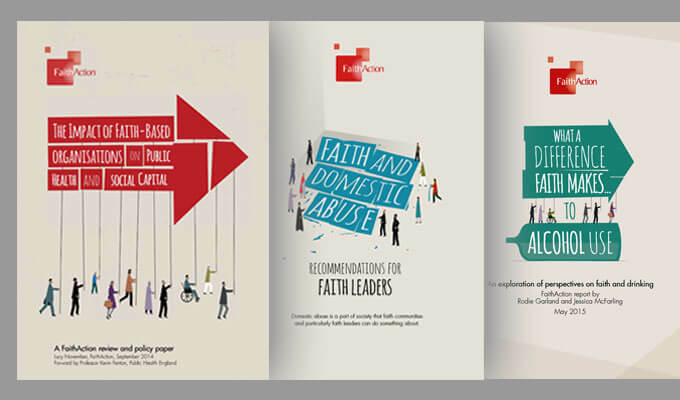 Highlighting the invaluable contributions of faith communities in England, they work in partnership with the Department for Communities and Local Government, Department of Health, NHS England and Public Health England to make an effective difference. 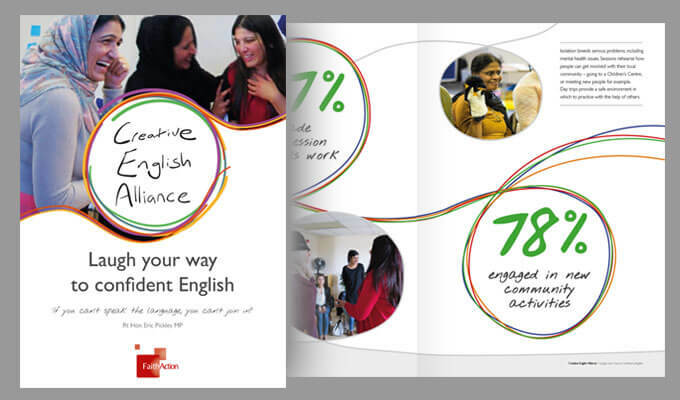 Through their guidance and training 140 organisations have pledged their commitment to helping people who suffer with mental health problems, and their multi-faith social action initiative has resulted in 58 community projects engaging over 577 individuals… with the Creative English project has engaging over 2400 people in learning English through drama and role-play. 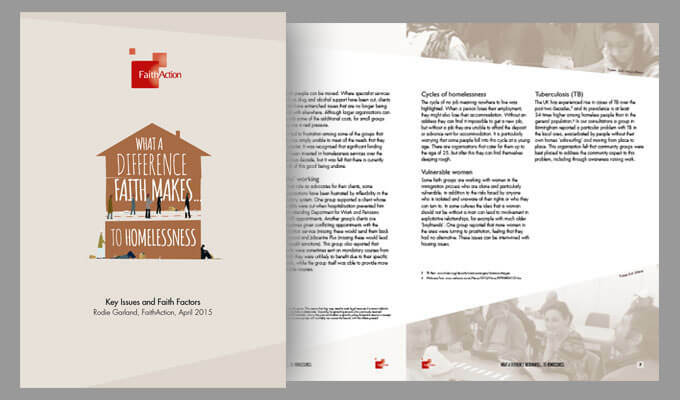 I’ve had the pleasure of creating a new look to their literature over a number of projects and, in a small way, feel like I’m playing a part in building a better society! Now that, I can believe in. 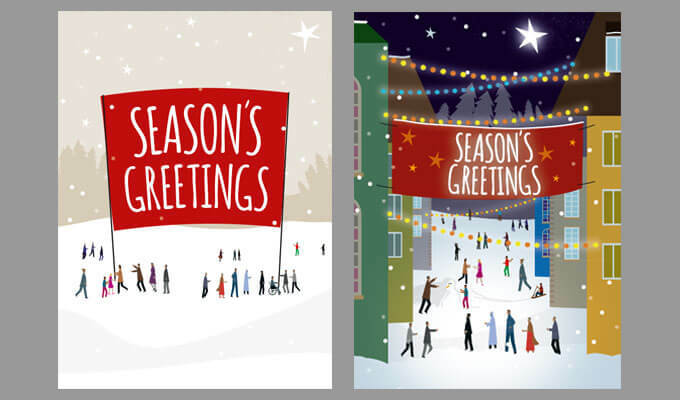 Promotional literature including illustration development. 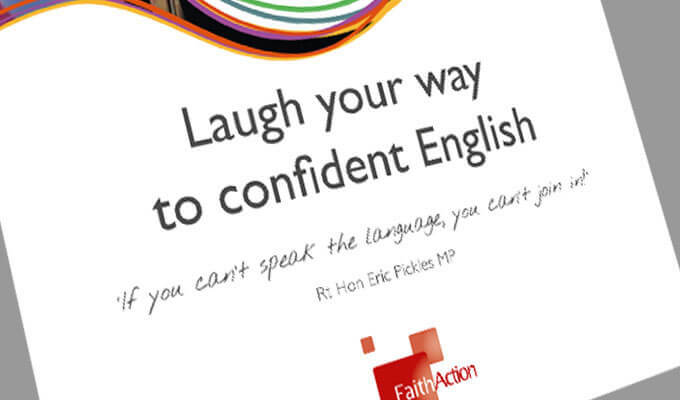 FaithAction has really struggled with our branding in the past but Richard came along and got hold of what our network is trying to do. and has been able to capture and share what we want our message to be. He’s our ‘go-to’ external designer who’s easy to work with and delivers great results every time.